Use the information below to understand the different types of opportunity you could offer, then make sure your advert is self-explanatory, and doesn’t rely on students sharing your definitions! The Warwick model for supporting employers and students working together is needs-led and responsive, rather than limited by formal activities running at certain times of year. It is free to access our expert advice and advertise your opportunities. Relationship to studies: We define an internship as a structured, pre-defined period of work, with agreed goals and objectives, which sits outside of studies. It will meet the student’s career development needs by providing relevant professional experience, and will align with your business needs, although internships are not a replacement for sustainable resourcing practices. Hours and Duration: This could be full or part-time, and could take place over weeks or months. 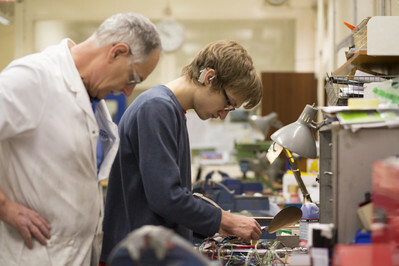 The summer vacation lasts for three months, and some students have the opportunity to take a full year out of their degree to undertake an internship. You will need to consider the duration in the context of your project plan and any necessary training period. Status: For the most part, a student would see themselves as a high-potential worker who is currently learning about a role, organisation or sector to further their employability. Access: For a 12-month internship during their studies, a student will need to have completed paperwork with the University by 30th June confirming the details of their internship, to be able to take a Voluntary Year Out for Work Experience Scheme. You will need to have completed any selection, offer and acceptance activities well in advance – we recommend doing this by the end of May at the very latest. 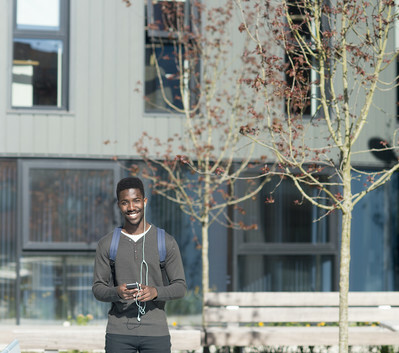 Warwick’s student population includes around 38% International students, who can bring diversity and a global perspective to your business. International students may have visa restrictions that differ from UK students – it is the student’s responsibility to abide by their visa, and your responsibility as an employer to check your employees’ right to work in the UK. To see the advice we give these students about working hours etc. please see our student-facing Immigration Service webpages about working on a Tier 4 visa. 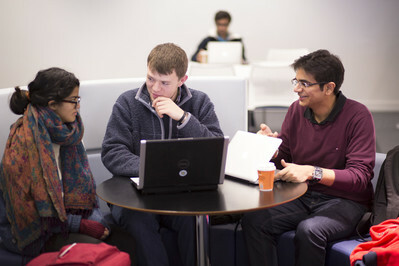 Warwick students currently undertake a more traditional undergraduate study format. This means that for many Warwick students, vacation internships, part-time work and volunteering are the most popular and in-demand routes to work experience. For further information regarding funded internships please see Warwick Summer Internships Programme (WSI). Cost: Interns are entitled to the National Minimum Wage (now National Living Wage if 25+). You will need to allow time for scoping out the potential experience, and for recruitment, induction/training and ongoing management/supervision of the student. You will need to ensure that they have appropriate access to equipment (e.g. computer) and a workstation. Relationship to studies: We define a placement as work experience that forms part of a degree, where the student will often undertake an assignment, progress reports or other learning activities in addition to the tasks they perform within the role you have provided. Hours and Duration: This could be full or part-time, and could take place over weeks or months. Placements have a set duration depending on the course of study. Status: For the most part, a student would be focused on how being a high-potential worker in a role, organisation, or sector links back to their studies. Access: Students often have to be performing at a certain level to access placement options, and preparation often begins months or even a year in advance. Warwick students currently undertake a more traditional undergraduate study format, which have relatively few placement opportunities as part of their course. This means that for many Warwick students, vacation internships, part-time work and volunteering are the most popular and in-demand routes to work experience. Cost: According to gov.uk, students who are undertaking a placement as part of their degree are not legally entitled to the minimum wage, however students are unlikely to take a lengthy unpaid placement for practical, political and employability reasons. Additionally, the University would not promote unpaid placements to its students, so recruitment to such posts is unlikely. You will need to allow time for scoping out the potential experience, possibly in collaboration with a University department or the student themselves, and for recruitment, induction/training and ongoing management/supervision of the student. You may also need to consider any learning requirements or meetings with University staff that might be requested. You will need to ensure that they have appropriate access to equipment (e.g. computer) and a workstation. Relationship to studies: We classify brief observations of work (without participation) as work shadowing. Hours and Duration: Typically anything from a few hours (usually ad hoc) to a full week (e.g. where it forms part of a recruitment campaign). Status: A student acts as a guest or observer, with a keen interest in your business, role or sector. Relationships: Work shadowing is a welcome outcome from a student approaching you speculatively, where you do not have anything more substantial that you can currently offer. It can be a great way to showcase your organisation, build relationships with student cohorts or departments, and encourage your staff to reflect on their work and career as they talk about what motivates and challenges them, potentially using presentation or other interpersonal skills. Access: Students will tend to be pro-active, but it is always helpful to make it clear on your website, myAdvantage profile or Linkedin profile, that you are open to work shadowing requests. You could even advertise a period in which you particularly welcome work shadowing, via a myAdvantage advert. Cost: Although you may want to spend time talking about their observations (some of which may be a surprise! ), the student is only visiting, is not undertaking work of any sort and, as such, there are no pay costs. However, good practice would be to provide some expenses if possible, especially if you feel that their insights have been useful. Project work – where you have a discrete project that sees you partnering with the University to solve a problem, undertake research or explore a business decision, based on the University’s capacity to contribute research or expertise. These projects are often hosted by specific academic departments or research centres, and require mutual planning and commitment to get the best result, and to ensure that areas such as Intellectual Property and confidentiality have been discussed and agreed in advance. To find out more about joint ventures, Knowledge Transfer Partnerships (KTP) and projects that link to curriculum and research interests, speak to our team in the first instance and we will be happy to take your query further. 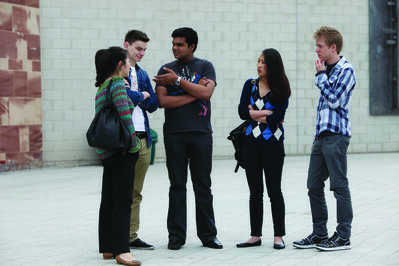 Relationship to studies: Often either part of a course, or linked to the broader research activities of the University. Hours and Duration: Depends on the project – these can be anything from a few weeks (e.g. an on-curriculum undergraduate project) to three years (for a KTP). Status: Many projects will have a consultancy feel, in that the student or graduate involved will be working out of the University, on your behalf. Relationships: Project work is a three-way relationship between you, the University and the student or graduate. Access: Some students will have a project option within their degree such as Warwick Business School, some projects are run as a competition and Knowledge Transfer Partnerships bring together high-flying Warwick graduates with appropriate projects as they are created. In all cases, this is about matching skills with need. We can put you in contact with the relevant academic departments and contacts to discuss further. Relationship to studies: Mentoring is not directly linked to studies. If you are unable to offer work-based experience, you may wish to offer a student guidance and practical advice about a career in your sector, your occupation, on a one-to-one or group basis, either as a stand-alone session, or as part of a longer mentoring process. Hours and Duration: Dependent on the commitments and mentoring relationship. Status: More than any other type of experience, mentoring is about the individual developing themselves based on another’s experiences. It’s not about them being a student or a worker, it’s about you sharing your professional and personal insights with another person, to improve their confidence, knowledge or performance. Reflecting on your own experiences can also provide valuable personal development for you, as you seek to enhance another’s performance. Mentoring can be as formal or informal as you like, just be up-front and communicative with any prospective mentees about your mutual expectations. Relationships: Mentoring is a two-way relationship between the individual (mentee) and the employer (mentor). Mentoring provides the opportunity for mentees to receive guidance and practical advice on areas that are important to them around their career or occupation, whilst at the same time supporting the development of mentors whilst they are in this role. 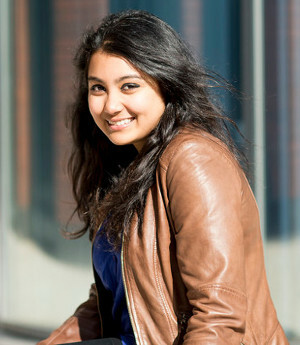 Access: If you are a Warwick graduate yourself, you can take part in our e-mentoring scheme. Otherwise, student societies or academic departments are a great way to link with prospective mentees with an interest in your sector – talk to us about getting in touch. Your website or Linkedin profile are equally likely ways that prospective mentees might reach out to you – consider offering your time if you are unable to offer work-based experience. Relationship to studies: Many students work part-time, completely unrelated to their studies (e.g. to support themselves). We know that temporary or part-time staff are crucial for meeting your immediate business needs, but they can also be a high-potential member of your team, a fresh set of skills, a development opportunity for colleagues, or a way to build relationships with student cohorts. Hours and Duration: University Regulations permit students to work for up to 20 hours per week during term time, actual availability depends on their individual timetable and commitments (such as skill-enhancing Clubs and Societies), visa restrictions, or supporting themselves through their studies. Status: A student will see themselves as an employee and a member of your organisation. Relationships: Casual work is a two-way relationship between the individual and their employer. Access: Depending on their availability, students access casual work via all the traditional routes (jobs pages, speculative applications, phone calls, networking through friends and family) but you can also advertise for free through myAdvantage or use Unitemps for a more proactive recruitment service. Cost: All workers are entitled to the National Minimum Wage (or National Living Wage if they are 25+). You will need to allow time for recruitment, induction/training and ongoing management/supervision of the student, as well as their pay. You will need to ensure that they have appropriate access to equipment (e.g. computer) and a workstation. Relationship to studies: Outside of studies, volunteering is an activity that is freely undertaken, that involves spending time (unpaid) doing something that aims to benefit the environment, individuals or a group (other than close relatives). Hours and Duration: University Regulations permit students to work for up to 20 hours per week during term time, actual availability depends on their individual timetable and commitments (such as skill-enhancing Clubs and Societies, or supporting themselves through their studies). Status: Volunteers tend to be more focused on personal and skills development, as well as being motivated to contribute to the cause that you are supporting. Volunteers can’t be assigned work that should be undertaken by a member of staff, do not have fixed hours and are free to come and go as they please – they do not have a contract of employment (verbal or otherwise). They should, however, be treated with the same fairness and consistency as other members of your team and should be given appropriate access to training and development linked to their role. Be mindful of offering a “volunteer” role that is an unpaid worker role in disguise, as this puts you at risk… even if the student has proactively approached you to request it, and is perfectly happy to work for free, you are responsible for ensuring that you have paid your workers their legal entitlement see worker test and Rights for interns and voluntary workers. Access: Any student could be undertaking volunteering activities alongside their studies as one-off projects, or as an ongoing commitment. 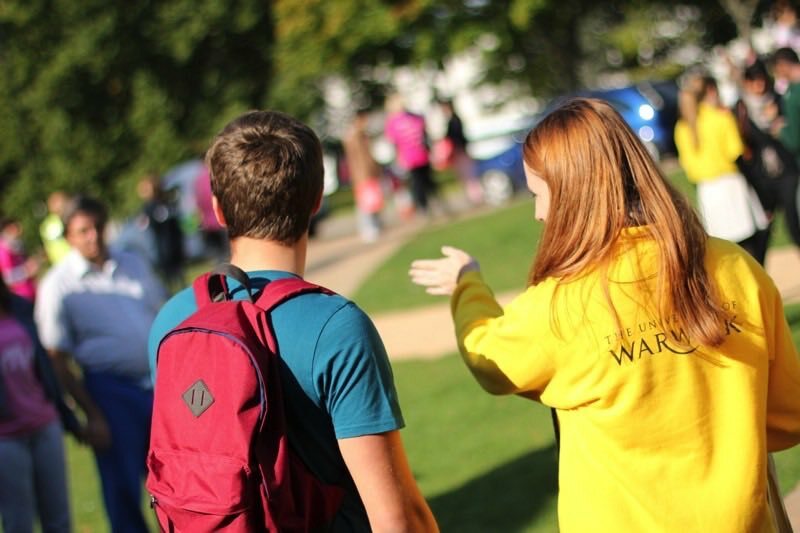 They may have accessed this directly, through a volunteering organisation, or through, for example, the University of Warwick’s own Warwick Volunteers, a student-led organisation that works with the local community. Cost: Genuine volunteering opportunities cost you time for the induction, training and supervision of your volunteer as well as any Safeguarding checks (if required see gov.uk for information on whether a DBS check is required) and reimbursement of out of pocket expenses, see gov.uk for information on expenses. The costs incurred through framing an unpaid worker as a “volunteer” can be substantial! For more information see Volunteers rights. Also see our advertising policy regarding fee-paying positions.